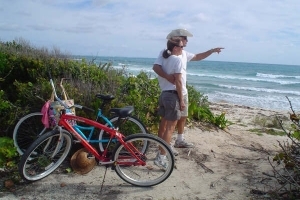 When visiting Green Turtle Cay, ride in style with a Sea Side Cart, the island's most popular mode of transportation! 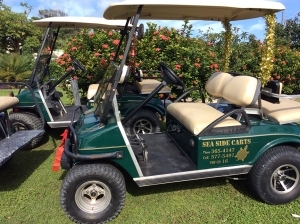 The only way to truly experience Green Turtle Cay is with a dependable Golf Cart rental from Sea Side Cart Rentals, offering the finest lifted, big-wheel golf carts on the island, in both gas and high powered electric versions. Our convenient location, directly across from New Plymouth's Public Ferry Dock, makes renting a Sea Side Cart the quickest and easiest way to start your island vacation. Your cart can be picked up directly at our dock side office, or if you prefer to settle in first, we will be happy to deliver your Sea Side Cart to your cottage or resort anywhere on Green Turtle. Either way, we will have your cart clean and ready upon your arrival. 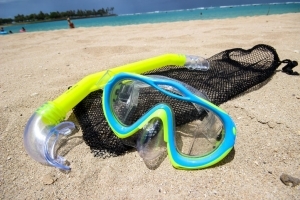 Please browse our site to learn more about our cart rentals, Green Turtle Cay, and the many places to explore on our beautiful island. Click here to see what Daniel Rodriguez, "America's Beloved Tenor" and New York's singing policeman, has to say about Sea Side Cart Rentals.